Looking for a free method to be able to save, organize and share different information on the web? 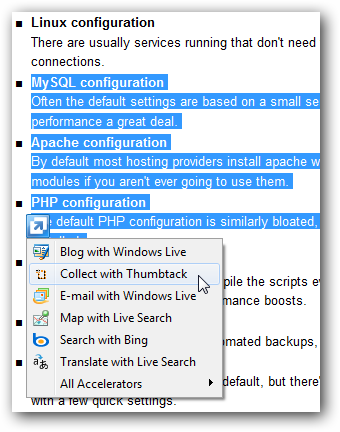 Today we take a look at Thumbtack from Microsoft Live Labs which offers functionality similar to services like Delicious or Clipmarks. 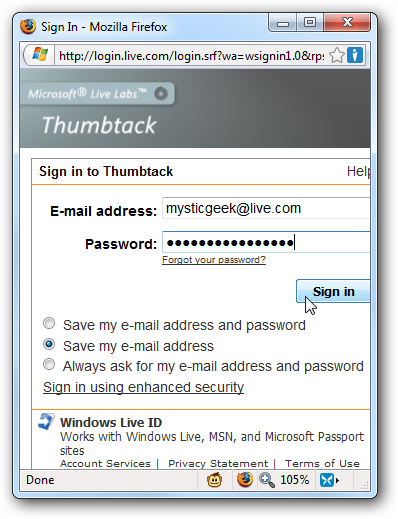 To start sharing important and interesting parts of the web just go to the Thumbtack site and log in with your MS Live ID or create a new account. 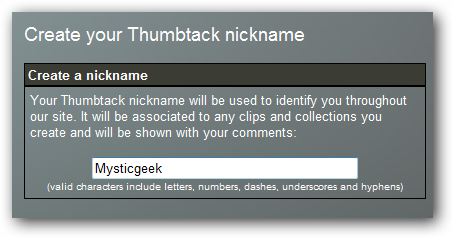 Then create a Thumbtack nickname which will identify your clips and collections. 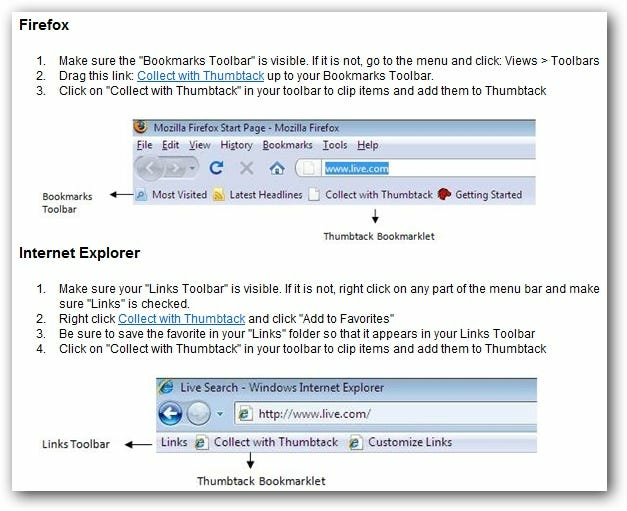 While you can copy and past into Thumbtack manually, it’s better to get the bookmarklet for easier submission. Just click on the link at the top of the Thumbtack screen. 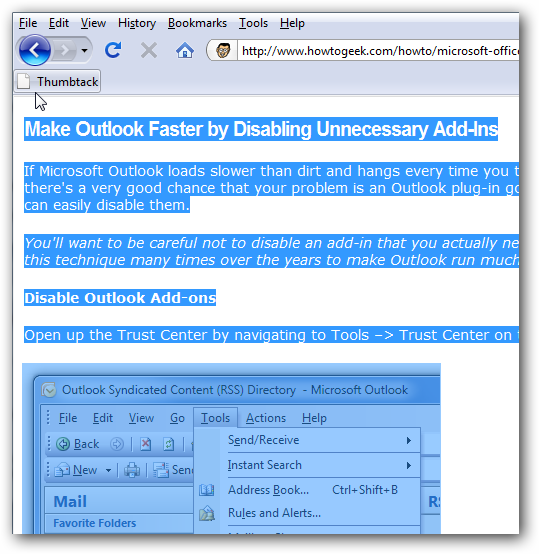 The bookmarklet will work with both Internet Explorer and Firefox and you are shown the directions on how to add it to each browser. It’s basically adding a link to your favorites toolbar. Here we take a look at how it works in Firefox. Simply highlight the information you want to save on the webpage and click on the Thumbtack bookmarklet. 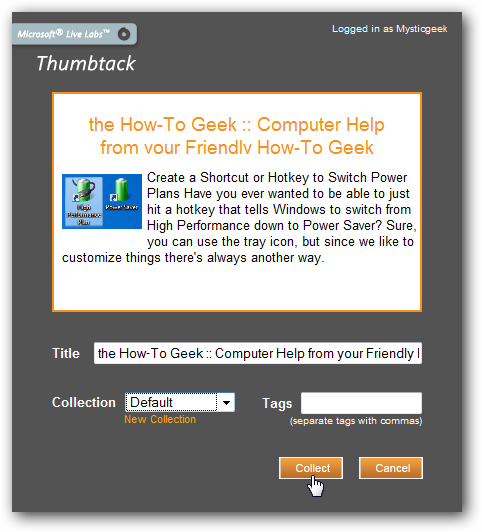 You may need to sign in first and a new window will pop up with the login page for Thumbtack. Now you can add in a title, select collection, and add tags to the clip. 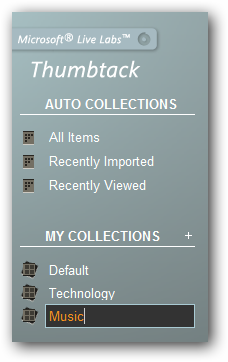 When done click on the Collect button. 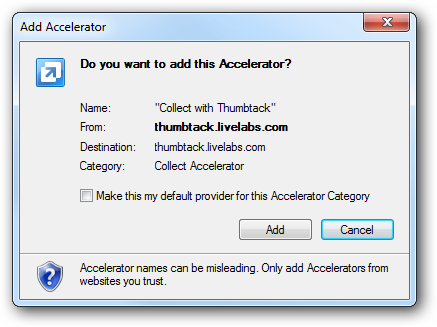 With Internet Explorer you can download the Thumbtack Accelerator which makes adding data even easier. Again highlight what you want on the page and select Collect with Thumbtack using the Accelerator. 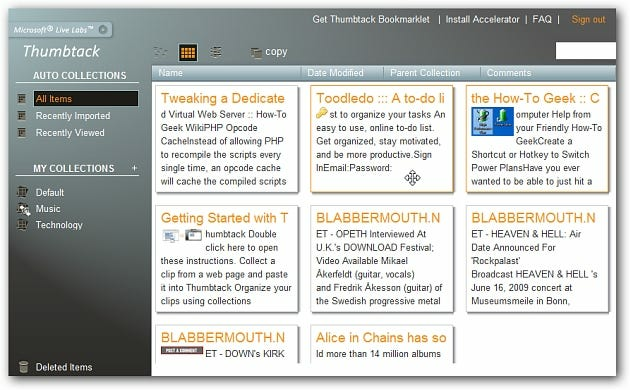 The Thumbtack user interface is nicely laid out and intuitive to use. You can change different views, drag and drop collections, and easily share content with others. 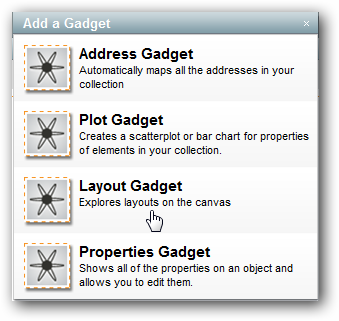 You can arrange your content how you like including creating different categories of information. 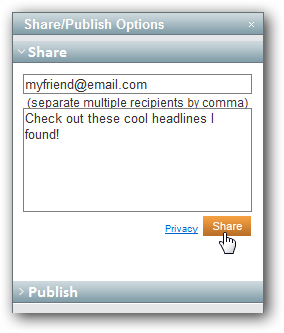 Click on the share tab to email friends or colleagues your found data, or publish them to the web for people to see. Keep in mid that when you publish something anyone will be able to view it. There are also a few gadgets to install to enhance the user experience. Thumbtack is still in an experimental phase and could use more features like sharing videos. If you want to try out a new way of collecting data and sharing with others you might want to check this out.